shortly after we receive your order. 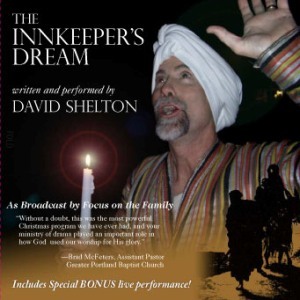 You'll be transported back in time to hear a firsthand account of how the birth of Jesus Christ just might have happened so long ago, through the eyes of a fictionalized innkeeper in Bethlehem.With humor and poignancy throughout, this Christmas performance tugs at the heartstrings of everyone as they envision that first Christmas Morning! Original Studio Recording as heard on Focus on the Family! As broadcast on Focus on the Family in 1991, 1992, 1995, 1998, 2000, 2002, 2005 and 2012.